As covered on Defence Connect, industry days have been sweeping through the country, giving each state the opportunity to come forward and contribute to Australia’s naval shipbuilding program. We spoke with DCNS, platform systems integrator (PSI) of the Future Submarine Program, and Lürssen, one of the three tenderers for the Offshore Patrol Vessels program, to find out which state is leading the pack in capabilities. 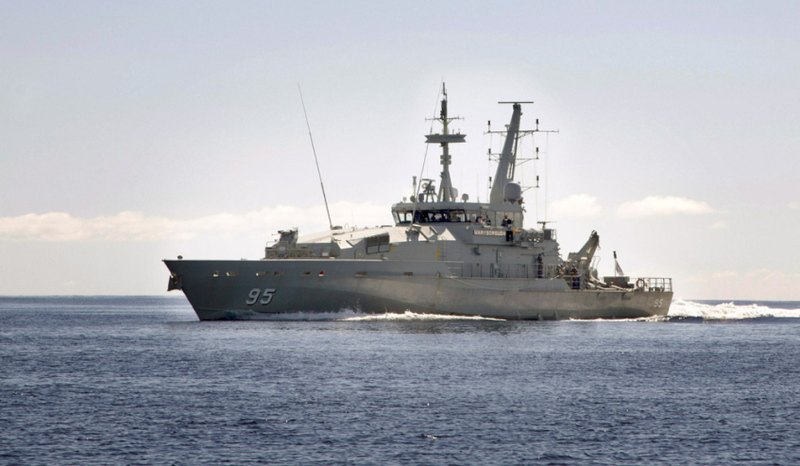 Lürssen, one of the three tenderers for the Offshore Patrol Vessels program, has just finished its national roadshow with its final show in Perth last tuesday. Manging director of Lürssen (defence) Dirk Malgowski had high praise for the industry roadshows the company has undertaken recently, and was hesitant to point out if a certain state was ahead of the others in terms of capabilities. "I wouldn't like to make a choice on that," Malgowski began. "I believe what we have seen is, simply by the numbers, the biggest interest is in Western Australia, that might be due to the fact that may be in an economical situation different than in other states. "I think the quality of the discussions we have seen, and the capability of potential suppliers, both that are already involved in defence work and, let's say, new kids on the block that are interested to join defence, have been very positive and convincing regardless of where we are. And we are trying to make the point that, we are really addressing this program and, as well, the choice within the supplier base from the more national and broader perspective." On a different naval project, Brent Clark, the chief executive of DCNS, which is in charge of building the 12 Future Submarines, told Defence Connect that South Australia and WA have led the way with their capabilities, but maintained the rest of the nation has also impressed. "It would be hard to probably split between South Australia and Western Australia, from my perspective. But obviously each state has capacity and capability in its own way. But particularly from a submarine fractal systems perspective, I think you'd find a pretty even split between the South Australians and the West Australians," Clark said. Clark's comments are similar to those of Navantia Australia's managing director Francisco Barón, who said the overall interest in breaking into the supply chain has been strong across the country. "There is a lot of interest, we need to filter," Barón told Defence Connect in May. Navantia is one of three companies tendering for the Future Frigates SEA 5000 project. The overall investment of the Future Submarine, Future Frigates and Offshore Patrol Vessels programs is valued at $89 billion.